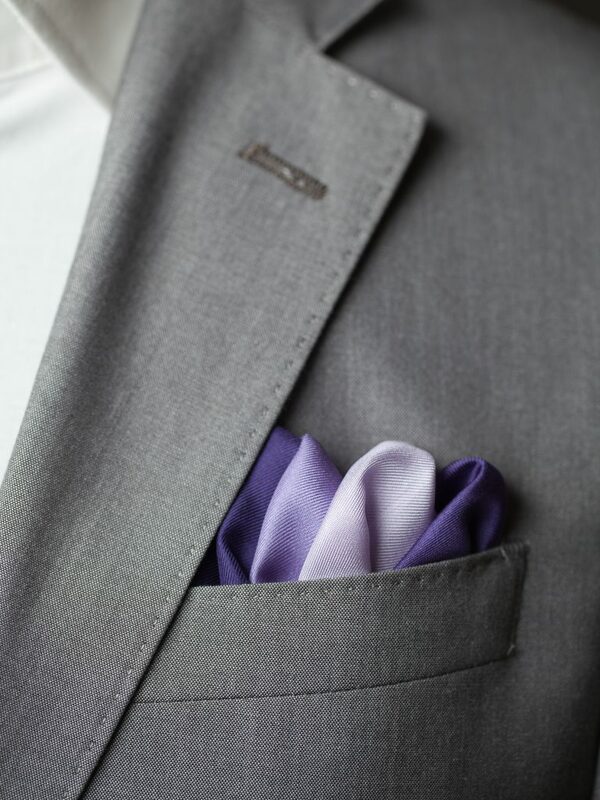 There are so many ways to fold a pocket square it would take forever to go through them all. For now, I’ll save you some time and take you through a few of my favorites. Keep in mind, all of these folds can be done with silk or cotton pocket squares, but I’m a huge fan of cotton. Silk is traditionally dressier, but I find the silk material is way too slippery. Silk doesn’t keeps its shape the way I want and it can slide down inside the pocket and disappear. I usually always wear cotton. 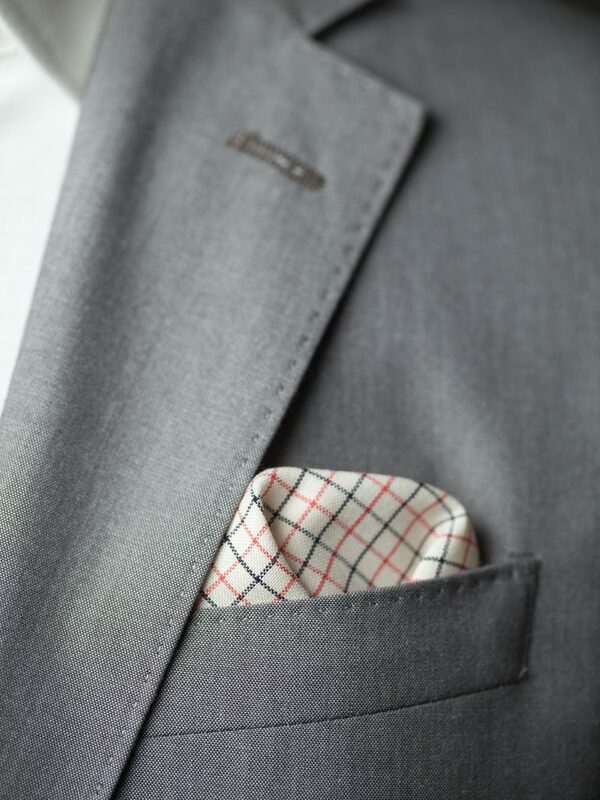 One of the beauties of pocket squares is the allowed imperfections to the folds. In other words, you’re allowed to be slightly off. In fact, the more perfect the fold, the more it starts to look like those cheesy pre-folded pocket square cards. If you’re currently rocking those, please stop. Now, on to the folds! This is my personal favorite and it’s how I wear my pocket squares 99% of the time. 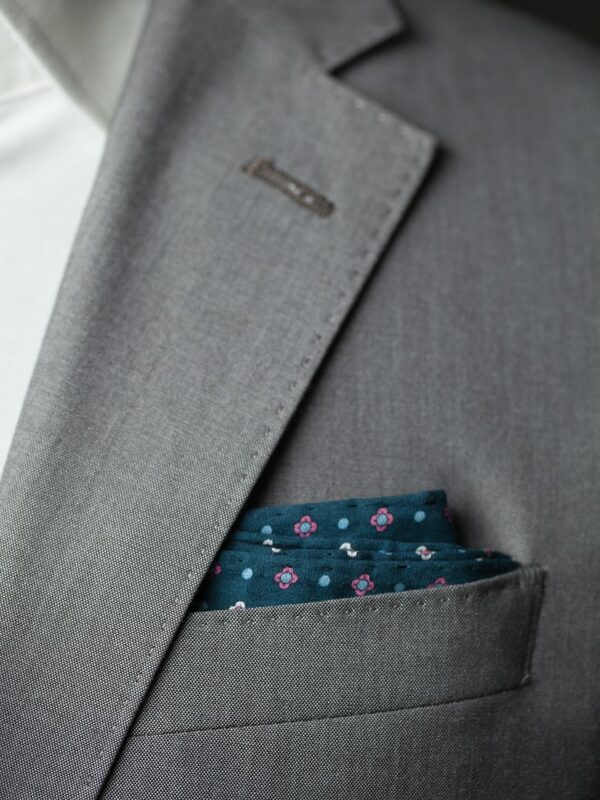 Start with the pocket square flat, then fold it in half. Then fold it in half again, and then one more time. Lastly, fold one end over an inch or so. This allows just enough material to stick out as it bottoms out in your pocket. 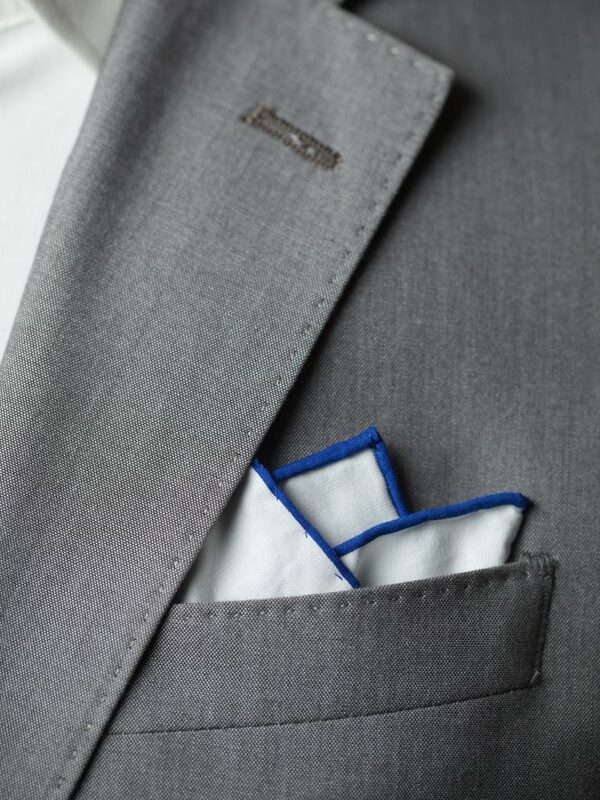 Start with the pocket square flat and fold one corner over to the opposite corner, but don’t match the corners up exactly. The next few steps involve folding the rest of the material over itself a few times to make a rectangle. Lastly, fold a small section under to make it the correct depth for your pocket. Start just like the Two Point and fold the opposite corner up, but don’t line the corners up exactly. Next, take one of the lower corners and fold it up towards the other two points, but again, don’t line them up exactly. You can see the three points formed. Next, fold the last corner over a few times to make a rectangle. Lastly, fold a small section under to make it the correct depth for your pocket. This is probably the easiest and fastest fold to make. 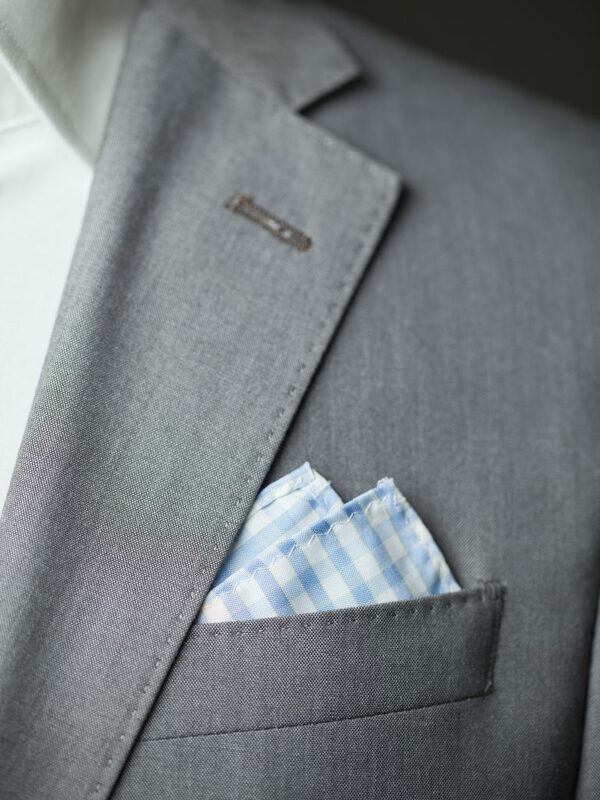 Start with the pocket square flat and pinch it in the center. Pull it up and gather the rest of the material into a long tail. Stuff the tail-end into your pocket and adjust the puff. This is a bonus fold with a silk pocket square. Notice the four different colored squares. Pinch it in the center of the two upper squares, then bring those down and pinch the two bottom squares. Bring them all together and make a tail just like the single puff. Stuff the tail-end into your pocket and adjust the four different colored puffs to your liking. There’s really no right or wrong way to make these folds, so please feel free to take liberty on these directions and go with what you like. I tend to lean towards the more conservative folds and shy away from the giant volcanic pocket square eruptions that seem to be gaining popularity. Less is generally more in my opinion. Here’s a few links to Amazon with a few of my personal picks.